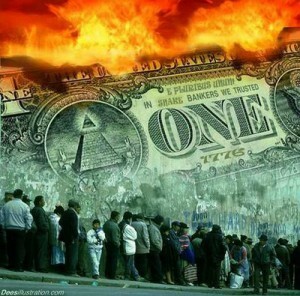 The Chinese hate the US dollar’s supremacy. They want their place in the sun. And they’re finding a lot of allies who are upset with the U.S. China’s plan is to roll out the China International Payment System (CIPS). The new system will make it easier to process international payment transfers in China’s currency, the Yuan or Renminbi. As a result, the Yuan will officially become a global trading currency. But the real goal here is brutally simple: China wants to dethrone the U.S. dollar as the world’s international reserve currency. This is just one of a series of doors China is opening, unleashing forces that will become an irreversible flood of change. CIPS will use the same coding system as the existing international payments system, SWIFT, located in Brussels. That’s short for the Society of Worldwide Interbank Financial Telecommunications. Where 44.6% of the payments that go through are in U.S. dollars. 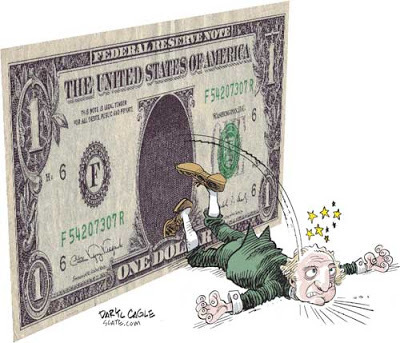 Which really is the platform that makes the mighty US Dollar the world’s reserve currency. The EU and US were recently putting pressure on SWIFT to kick Russia out of the international payment system. This movement was to punish Russia for its recent land grab of Crimea and ‘stoking war in Ukraine’, and SWIFT just did that. But now the EU has got a second thought so it pressured SWIFT again to give Russia a seat on its board in this very exclusive club. This move is a slap in the face to the U.S. – SWIFT is bending over backward to accommodate Russia, as it’s terrified of the competition that is represented by China’s new CIPS system. The SWIFT folks don’t want Russia doing all its business in CIPS. But this may be too late. 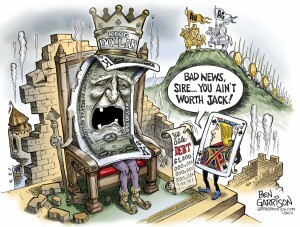 In fact, there is a lot going wrong in the US-currency Empire lately. And much of it can be traced back to China. Americans don’t realize what an advantage they have thanks to the dollar being the world’s reserve currency. They basically can print money as much as the need. Washington never has to balance its checkbook – at least, not yet. Other countries must stockpile hoards of dollars just they can pay for services and merchandise on the international market. However America’s License to Print Money is about to be revoked. Over the past two-years, the U.S. has slashed oil imports from Saudi Arabia. The U.S imported in December 2013 some 1.5 million barrels a day. Last year that number was nearly half of that. The increase in American oil production and perhaps oil market manipulation has led to a 62% collapse in global oil price. Now Saudi Arabia plans to strike back. The weapon the new King Salman uses in the coming weeks could trigger a global economic shakeup on par or even worse compared with the 2008-2009 financial crises. President Vladimir Putin would love to see the petrodollar die, stating publicly, “the dollar monopoly in energy trade was damaging Russia’s economy.” It’s been reported that Russia has held secret talks with China to strike back at the U.S. They also held talks with Iran, as it looks for new alliances. Without Saudi Arabia joining them, Russia and China have found it difficult to cut the U.S. out. But now, Saudi Arabia and its OPEC partners are seeing their fair share of troubles as well. As the US is no longer Saudi Arabia’s biggest customer – China is – and on top of that, lower oil price – caused by the US – are crushing their profit margins, as 50% lower oil prices are like a “slap in the face.” – So the Saudis are furious too. For the first time ever, the Saudis are considering striking back at the U.S. by cutting off their “special relationship” with America. Remember, they’ve agreed to use the petrodollar only if the U.S. continues buying up their oil. 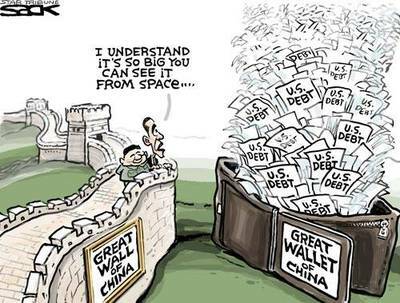 And as the US is no longer the biggest customer – China is – they have no reason to use the petrodollar. The truth is, they may not be using it for much longer. Actually the Saudis are considering their future of global economics with their new pals in East Asia. And indeed, Chinese officials have already reportedly been holding secret meetings with Saudi Arabia. All the indications are that Saudi Arabia, along with China, and Russia will soon launch the petrodollar-crushing move – that undoes the U.S. dollar’s monopoly on all oil trade. 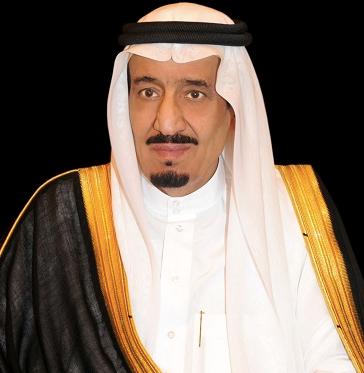 Expect that Saudi Arabia’s new King Salman will soon announce his decision to join forces with China, Russia, Venezuela, Brazil and others, to begin trading oil outside of the U.S. dollar, and are going to use the Chinese petro-Yuan instead. Which effectively is going to end the petrodollar’s over four-decade reign. Even before Saudi Arabia and OPEC make their move – the petro Yuan already is gaining traction. The Bank of Russia and People’s Bank of China recently agreed to trade completely outside the U.S. dollar. – Singapore, Malaysia and Qatar have also agreed to currency swaps with China. In the case of Qatar, the deal establishes a direct trade with an OPEC nation in the very heart of the petrodollar system. Even Canada, and Australia recently have signed a currency swap with China! The petrodollar has reached a period of historic risk. These countries can dump the dollar and flood the market with all the U.S. dollars they don’t need. – Essentially, if Saudi Arabia gives the go-ahead to replace the petrodollar, a sudden surge of excess dollars will immediately begin pouring out of all major countries. The dollar’s global dominion is coming to an end. Stop hoping it won’t happen and start getting prepared for it. Precious metals are a good hedge against economic upheaval. It will be clear that a dirty game is going on, and if you don’t want to become victim, take action now. Simply, follow what China is doing; buy gold and silver when the creditworthiness of the U.S., the EU, and Japan is in such dire shape. For these reasons, you too should have a position in gold and silver; otherwise you could find yourself in the poorhouse with the rest of the unaware people. How devastating would it be when $6.2 trillion are coming back into the U.S.? As these countries don’t have any need for dollars, they also don’t have any need for Treasuries. So they’ll sell them on the open market. Those are trillions of dollars in U.S. Treasuries getting dumped. The immediate impact will be a severe drop in the value of U.S. Treasuries and its currency, on which many retirees depend. Two options are left, neither of which is good. Secondly attract buyers to pay for debt by raising interest rates. The second option will not be one of those decisions taken by the Fed, – they gradually want to raise rates. – This time, the Fed will be forced to hike interest rates dramatically. 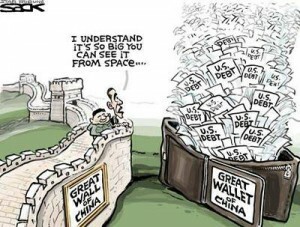 It’s either raising or printing; otherwise the US won’t be able to finance their government spending. Higher interest rates could lead to a cycle of more inflation, as for example, dramatic increase in the cost to buy a home or car. Expect another housing crisis, reduced business investment, and rising unemployment. Many U.S. oil companies will get crushed. Their four-decade-long currency advantage will be gone. And in the midst of it, soaring interest rates will create a cascading effect around the world economy, crushing assets, bonds, and else. The Dow could fall 1,000 points… or 2,000 points in a single day. And when this happens, the ensuing chaos and panic will be worse than in 2008. In 2008 it was only the subprime debt in the housing market, but now there is more; subprime auto debt, subprime student debt, subprime government debt, and subprime corporate debt. People now are saving money, not spending it. China is slowing down, not speeding up. World trade is fading, not growing. Consequently the velocity of money – the rate at which each unit in circulation is exchanged from one transaction to another and a key indicator of boom conditions – started going down in the late 1990s. And it’s still going down. These facts mean that when the next crash comes, the economy will be less resilient. Already weak, the economy will sink still lower. What are the central bankers going to do, if they have any choice at all? A world with no debt. A world with no poverty. A world of no war. A world of no disease or hardship. A world free of ruthless controllers. A world where The Golden Rule is law. A world where you can experience your true calling in life. These are just some of the things that are possible directly following the END of unbacked, fiat money. This is the world as we CAN MAKE … if we choose to. 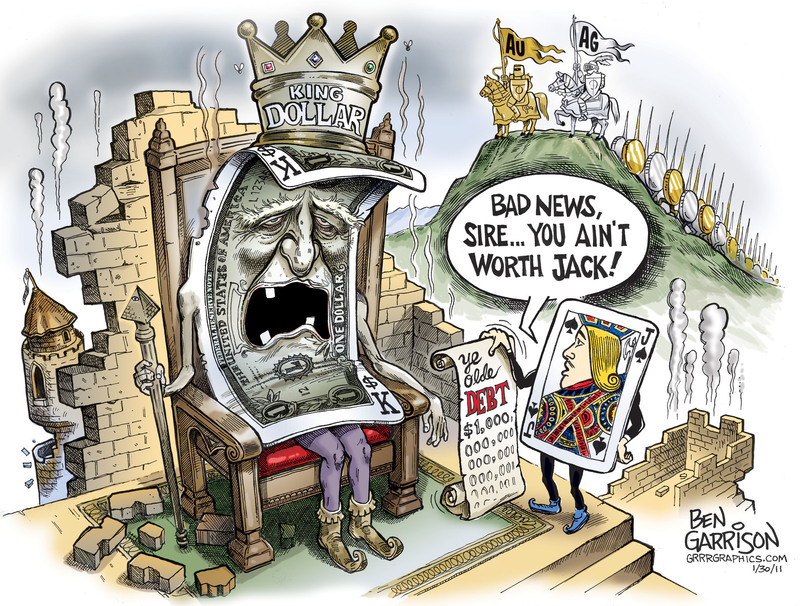 The solution is as simple as radical – the change from existing privately managed debt based monetary system into to debt free money issued by the people through elected government. Let the TBTF banks – Too Big To Fail – go bust, no rescue whatsoever. – Governments have got to control the quantity of money and NOT private bankers that with their control over money initiates boom or bust. Banks only can lend the money they have in the bank, and for more money they have to compete on the open market. Banks are required to maintain 100% reserves – ‘fractional reserve’ is to be abolished. Just we issue our own money, debt free! That, my friends, is the answer. Talking about reform! Money issued by the people is the only reform that will make a huge difference to everyone’s life – worldwide. Remember all governments are puppets of the Khazarian Mafia, headed by the Rothschild clan, who want to enslave the population, and all other 90% redundant in their view, be destroyed. So, Governments are the enemy of the people who are kept asleep by lies and deceit. Now, the world is on a fault line of change; the system is at the point of collapse resulting from the enormous debt. Detaching from the system NOW will significantly increase your survival chance. Read this exposé, submitted by loyal reader RB. Ever since the Rothschild Khazarian Banking Mafia invaded America in 1913, America and the rest of the western world has functioned as a Khazarian Mafia Vassal State. Israel attacked America with nukes on 9-11-01 and used nuclear blackmail to create Homeland Security and transform America into Israeli occupied territory for the Khazarian Mafia. 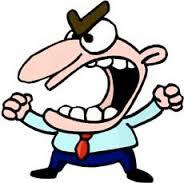 – Jesus drove the moneychangers from the temple, and we should do the same. When the banksters for the crimes committed are brought to justice, they will be found guilty of the most serious crimes, including incitement to war by fraud, war crimes, and crimes against humanity, false flag operations, and torture. Literally trillions of their wealth and all their land and personal holdings may be confiscated and returned to the true owners, the citizens they have robbed.